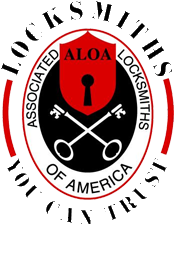 Reasonable Locksmithing provides various safe and vault installations and repair services for our Cortlandt Manor LOCKS & LOCKSMITHS clients. Our safe and vault installation repair experts can even relocate your safe or vault if you wish. In addition, our diverse clientele have ranged from Casino owners, accountants, and bank managers to military and government officials. Reasonable Locksmithing currently provides 24/7 emergency access safe and vault services if you need immediate access to the contents of your safe. Any day, anytime, and regardless of the emergency, our dedicated Cortlandt Manor LOCKS & LOCKSMITHS professionals will install, repair, relocate, or crack your safe or vault quickly and without damaging it or its contents, guaranteed. Moreover, all of our safe and vault installation and repairs come with a 3 month warranty and an iron-clad guarantee if you are not satisfied. Hence, you should look no further than Reasonable Locksmithing for your safe and vault installation, repair, lock picking, maintenance, and disposal needs. We offer the most reliable, hassle free, quick, efficient, cost effective, and environmentally safe vault and safe products and services on the Cortlandt Manor LOCKS & LOCKSMITHS market. All of our parts and labour include warranties and all of our safe and vault installation and repair specialists are insured, licensed and bonded. We pick the best and lock out the rest when it comes to safe and vault installations and repairs.